Amidst the madness of last year’s festive season, a friend of mine in the trade forwarded a rather intriguing press release. I didn’t pay much attention to at the time, being more concerned with the hordes of eager punters braying at the doors to our fragile store, but looking back on it now, I realise it was actually a pretty big deal. 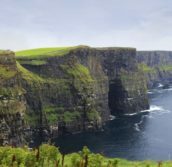 It was the announcement that one of the world’s largest distillers in the world, Beam Inc., had just finalised the purchase of Ireland’s only independent distillers, Cooley (County Louth), for a staggering $95m (€71m). 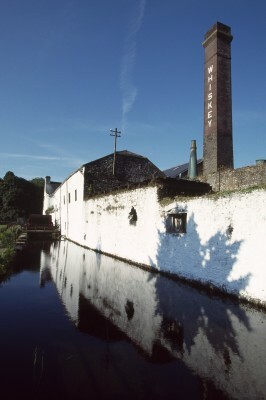 Founded by John Teeling in 1987, the distillery has served as an independent ying to the otherwise very corporate-owned yang of the Irish whiskey industry (of the four whiskey distilleries in Ireland, Bushmills and Midleton are owned by industry giants Diageo and Pernod-Ricard, accounting for the vast majority of production). The owners had only recently come to a mutual agreement with Bushmills for the very twee title of ‘ye oldest distillery in Ireland’. Not for Cooley, of course. The sharper knives amongst you will recall that in the last paragraph I said it was founded in 1987. 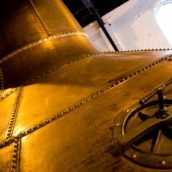 This title belongs to their brand-spanking new old distillery (you read that right), Kilbeggan, which came back online in 2007 after 53 years of silence. 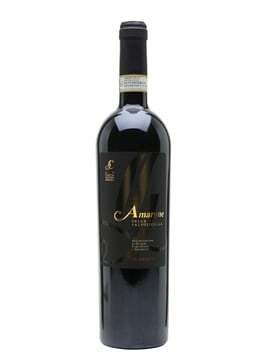 Tim wrote an excellent piece on this after a tasting we held in March 2010, which you can read here. The Cooley whiskies also seem to have won more medals than Michael Phelps at a high school swimming gala. With all this in mind, you’d think the owners would be reluctant to part with their blossoming spirit child striding so confidently through its adolescence? Then again, every man has his price, and $95m is a certainly a mind-blowing figure! But why so much? The answer, in a fairly gross generalisation, is America. 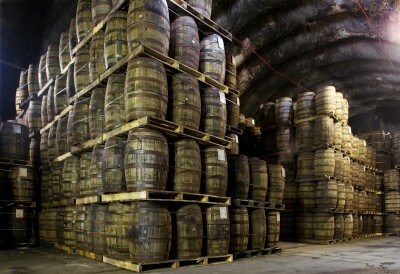 Or more precisely, the rapidly expanding market for Irish whiskey that it holds. From 2003 to 2010, our colonial cousins have more than tripled their consumption of one of Ireland’s finest exports. By far the biggest player in the field is Jameson, which recently broke the Holy Grail of whisk(e)y-making that is the 1 million case mark. 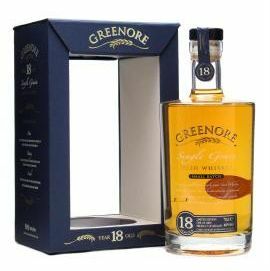 It would seem that the new owners of Cooley are fairly transfixed on trying to breaking into this ripe market with a fresh new brand – and what better two distilleries to do it with? They've got a fair bit of whisky, but do they have enough? It seems to me, then, that if one was looking start a collecting Irish whiskeys, then these small batch expressions of Cooley might be a good start. There are no guarantees that they will be discontinued, of course, and for all I know the new owners intend to build on the existing range of b-sides and rarities. But I would be surprised. Anyway, with this in mind, let’s look at a couple of treats from Cooley. We’ll start with a rare single cask from 2010. I tried this at the Whisky Lounge Newcastle, and was promptly gutted to find out it’s an exclusive for an Irish retailer. 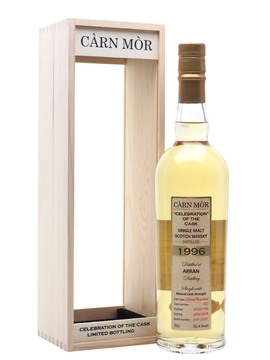 Nose: Sweet mangos, vanilla extract, custard creams, hints of tinned peach, linseed oil and honey. Reminds me of butter ghee for some reason. Palate: Livelier than the nose suggests. Caraway seeds, surprisingly green and vegetal, with pinecones, pear drops and brioche, and a subtle tang of peppermint. Conclusion: Fairly creamy and soft like a satin glove. 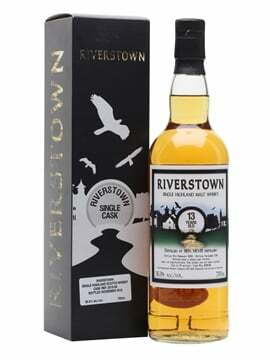 Very complete malt and a well-chosen cask, if perhaps slightly short overall though. Nose: Similar sweetness to the Tyrconnell, fresh vanilla pods, banana, those pineapple rings they serve with Gammon in Yorkshire. Mild and fruity. Palate: Very creamy, distinct grain notes, more vanilla, buttered popcorn. Kaffir lime leaves, and a touch of white chocolate. Conclusion: A touch one-dimensional (that’ll be the grain), but still complex, very moreish, if sickly in large doses. While I was editing this to go up on the blog some news broke – Cooley have started to bring in measures to handle their supply issues. They have now said that they will not be taking on new supply contracts. 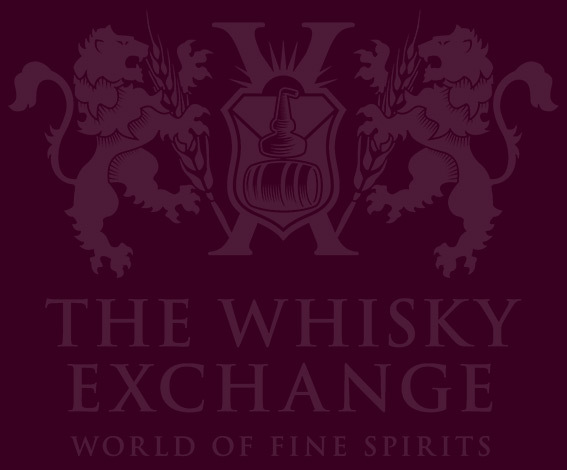 So once the various independent bottlers and supermarkets who currently sell Cooley-produced whisky under their own labels hit the end of their terms (if they have an ongoing contract at all) then that’s it – no more whiskey for you. 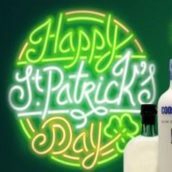 It’ll be interesting to see where the supermarkets turn to now for their Irish whiskey needs, or is this the start of a ‘premiumisation’ of the entire country’s output? A death to own brands as the wagons are circled and the big boys work on their own labels…? 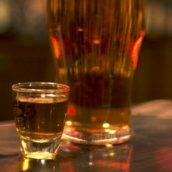 We shall see, but it’s certainly an interesting time to be watching the Irish whiskey industry.